Steven Yeun is a Korean-born American actor. Yeun is currently starring in the role of Glenn in AMC's original series, The Walking Dead since 2010. Other than The Walking Dead, Yeun had a cameo in the critically acclaimed American sit-com The Big Bang Theory as Sheldon's former room mate Sebastian in 2010, an independent film and a couple of shorts. He has also completed voice work for the Crysis video game series. The son of Je and June Yeun, Yeun was born in South Korea and raised in Troy, Michigan. His parents owned two beauty supply stores in Detroit. 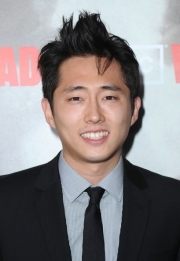 Yeun received a bachelor's degree in psychology from Kalamazoo College in 2005. His interest in acting and improv came during his freshman year at Kalamazoo, when he watched the college's improv group, Monkapult. He auditioned for Monkapult, but was initially rejected before successfully joining the group during his sophomore year. Yeun revealed to his parents that he planned to pursue an improv career in Chicago, instead of enrolling in law school or medical school. His parents, while unhappy with the decision, were supportive, according to Yeun, and gave him two years to pursue acting. He moved to Chicago in 2005, living in the city's Lincoln Square with his brother. Shortly after graduation, he joined Stir Friday Night, a sketch comedy group composed of Asian-American members. 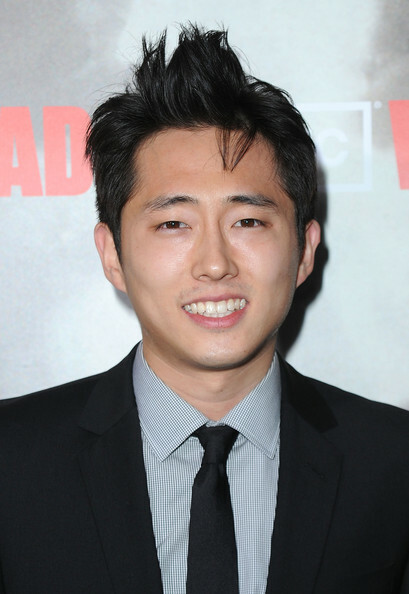 Yeun joined The Second City in Chicago before moving to Los Angeles in October 2009. Whole or part of the information contained in this card come from the Wikipedia article "Steven Yeun", licensed under CC-BY-SA full list of contributors here.